Elena Tupyseva was born in Moscow. Since 2012, Ms. Tupyseva has been holding a position of Director of the City Theatre Ballet Moscow. In 2005 she graduated from Department of Producers of Russian Academy of Theater Arts (GITIS). In 1999 - 2001 Ms. Tupyseva worked as a manager at the Russian National Theater Award and Festival Golden Mask. 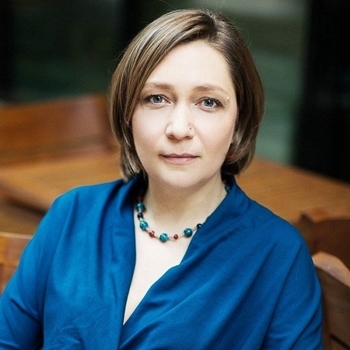 In 2001 she became co-founder and director of the Moscow Dance AgencyTsEKh. In 2009 - 2010 she was invited to curate a EU-Russian contemporary choreography project Intradance. In 2010-2013 Elena was a fellow of the International Fellowship program for leaders of cultural organizations at the John F. Kennedy Center for Performing Arts (DeVos Institute of Arts Management) in Washington DC, USA. Since 2000 Elena has been representing Russia in the European contemporary dance network Aerowaves.